Black-throated Blue Warblers breed in large tracts of mature deciduous and mixed evergreen-deciduous woodlands with a thick understory of shrubs including hobblebush, mountain laurel, and rhododendron. In the Appalachians, they tend to occur at elevations of 2,600–5,250 feet, but they occur at lower elevations in hilly terrain farther north. After breeding, individuals often move to shrubby young forests (i.e., early successional habitats) with their offspring. During migration they occur in all types of woodlands, parks, and gardens. On the wintering grounds they inhabit dense tropical forests, woodlands, shade-coffee plantations, and second-growth areas with trees. Black-throated Blue Warblers search leaves and twigs for spiders, flies, and caterpillars, often taking them from the underside of vegetation. On the wintering grounds they supplement their insect diet with fruits. They tend to forage in the shrub layer and lower canopy. Black-throated Blue Warblers nest in dense understory shrubs and saplings including laurel, rhododendron, yew, spruce saplings, and viburnum. Females select a fork around 3–5 feet above the ground in a shrub or sapling that is well concealed by vegetation. Females build a cup-shaped nest with strips of bark that are held together with spiderweb and saliva. Females line the nest with rootlets, pine needles, moss, and animal hair. It takes the female 3–5 days to build a nest. Egg Description: Creamy white with dark speckles concentrated at the large end. Naked with sparse tufts of gray down; eyes closed. Like other warblers, Black-throated Blue Warblers flit from branch to branch carefully examining each twig and leaf for insects. But unlike some, they tend to stay within the shrub layer and lower canopy of the forest where they often forage in a more methodical way, looking around intently and picking insects off foliage. Males are aggressive defenders of their breeding territories. They fly toward intruding males giving a rapid series of chips and lift their head up with wings drooped. If posturing fails to push the intruder away, all-out chasing ensues, often in a circular pattern covering 300 feet or more. In some instances, rival males knock each other to the ground and peck each other. When females arrive on the breeding grounds, males follow them around; often rapidly chasing them through the understory. Once paired, Black-throated Blue Warblers are socially monogamous, in that one male maintains a territory with one female, but the male frequently seeks out extrapair copulations. Males guard females intently especially during nest building and egg laying to prevent extrapair copulations. He watches her every move while singing a soft song. During the breeding season, these strongly territorial birds occur in pairs, but during migration they frequently form loose flocks with other warblers. On the wintering grounds, males and females defend their own winter territories and are often found singly. Adults frequently return to the same breeding area year after year. In one study, conducted at Hubbard Brook Experimental Forest in New Hampshire, 66% of 313 marked males and 46% of 186 marked females returned to within 500 feet of the previous breeding season's territory. Adults also return to the same wintering areas year after year. Black-throated Blue Warblers are common and their populations increased by 163% between 1970 and 2014, according to Partners in Flight. The estimated global breeding population is 2.4 million. The species rates a 10 out of 20 on the Continental Concern Score, which means it is not on the Partners in Flight Watch List and is a species of low conservation concern. 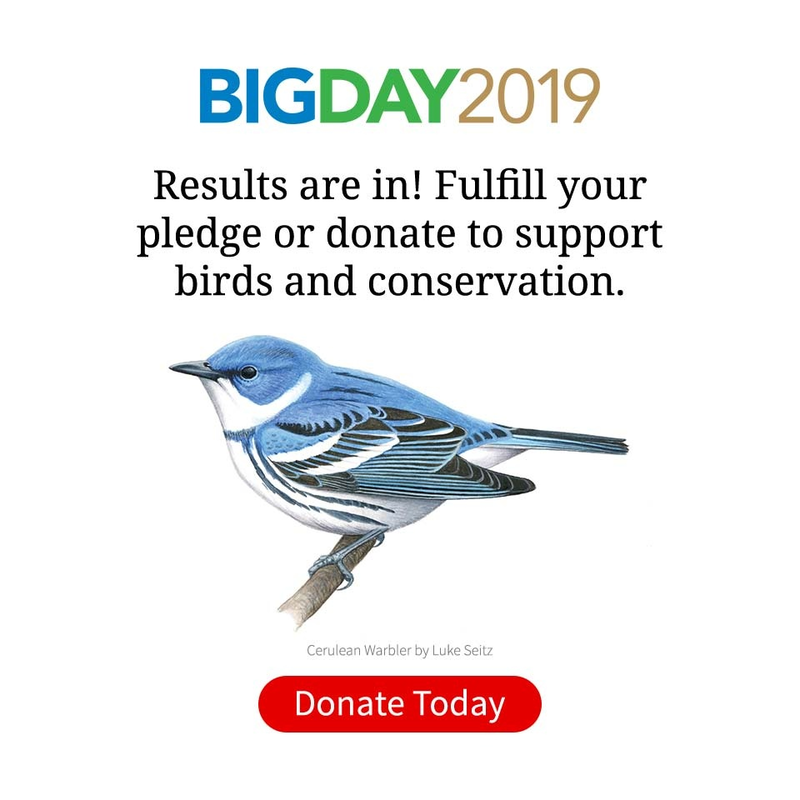 Though long-term trends show population increases, Black-throated Blue Warbler populations are likely still recovering from declines in the eighteenth and nineteenth centuries as a result of widespread clearcutting. The species appears to be resilient to climate change on the breeding grounds, but large changes to breeding, wintering, and migratory stopover habitats could have adverse effects. Cline, M. H., A. M. Strong, T. S. Sillett, N. L. Rodenhouse and R. T. Holmes. 2013. Correlates and consequences of breeding dispersal in a migratory songbird. Auk no. 130 (4):742-752. Holmes, Richard T., Sara A. Kaiser, Nicholas L. Rodenhouse, T. Scott Sillett, Michael S. Webster, Peter Pyle and Michael A. Patten. 2017. Black-throated Blue Warbler (Setophaga caerulescens), version 3.0. In The Birds of North America (P. G. Rodewald, editor). Cornell Lab of Ornithology, Ithaca, New York, USA.